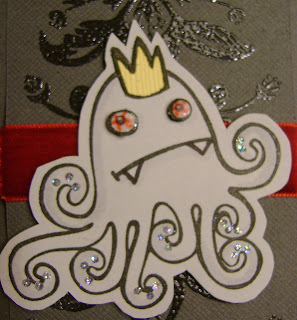 I’ve mentioned here a couple of times that my sister Ginny is a genius at card-making and crafting. Well folks, she’s outdone herself. 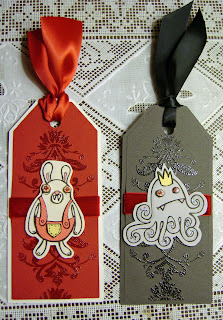 I asked for a zombie bookmark to include with the copy of Pride and Prejudice and Zombies that I’m giving away right now, and she created TWO silly, creepy (and somewhat cute?) monsters. So I’ve decided to tuck one in with book as promised, and give one away to another random contest entrant. Enter the giveaway now if you haven’t already - it ends Sunday! ahhh, love 'em! 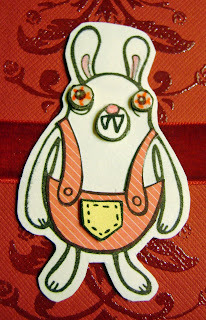 zombie bunnies are in baby. and the octo-zombie is definitely a great summer zombie. These are so adorable! I just love them. Oooh I love the 'sea serpent' one! Your sister is quite skilled, those are darling! Your sister is so talented! They're so adorable! These are so adorable...what talent!! !